Assessing Mastery is Easy. Achieving Mastery is Not. Mastery learning is not a new idea. It’s been around as a concept for almost 100 years, dating back to the 1920s and ‘30s. In that era, it never completely caught on as a teaching method however, largely because it was difficult to implement due to the increase in work required by the teacher. When mastery learning was “resurrected” in the 1960s and ‘70s, the basic idea was simple. It was based on a shift in “grading” from a “norm-referenced” approach to a “criterion-referenced” approach. These are common notions now, but were new at the time, and these labels were not widely used. The suggestion, confirmed by research was that if you allowed learning time to vary and set an outcome standard (criterion-referenced) for every student to reach, more students would reach the desired criterion. Research showed that using this approach, the average amount of learning increased dramatically, with about 70-80% of students in a mastery learning approach scoring at an achievement level attained by only 20-25% of students learning in a traditional manner. However, there are at least two additional reasons for the success of the mastery learning approach that have been largely overlooked. The first was a concept that is now very familiar, but at that time was new – formative assessment. The basic idea was simple. The formative assessment embedded in the instruction (at the end of each Unit) told the student (and teacher) what the student had learned, and more importantly, had not learned. This served as a “preview” of how they would do on a summative evaluation. When performance on the formative assessments indicated the student had learned the content to the desired standard, it served as “reinforcement,” giving the student the satisfaction of knowing they had accomplished the desired goal, and would likely fair well on the summative test to follow. When the student had not reached mastery, the results told the student “you need to study more.” They then had an opportunity to correct any deficits before it “counted” toward their grade (determined by a later summative assessment). However, the major limitation of this approach was that it did not give the student or teacher any information on how to fill in the gaps in knowledge exhibited on the formative assessment. In addition, early theory on mastery learning provided no new insight into the design of the initial instruction. The common practice was simply to shift most of the burden from the teacher to the student. The teacher specified the outcome but left it up to the student to learn on their own, both initially, and after formative assessments. Consequently, it was quite common in early implementations of mastery learning for many students to fall short of the desired amount of learning on the initial formative assessment. This then led to a focus on what was referred to as “corrective feedback,” or essentially telling the student what they did wrong. To address these deficiencies, the burden was again shifted to the student. They were typically referred to a set of “learning resources” made available to them. It was the student’s responsibility to make use of these resources to correct any deficiencies exhibited on the prior formative assessment. In short, the focus was on requiring mastery, then setting up the conditions that allowed it, with very little focus on how to actually achieve it. Although it didn’t receive much attention, the quality of instruction provided was considered a major factor in mastery learning. However, virtually no guidance was provided about how to improve the quality of instruction to facilitate or ensure mastery. For example, Block (1971, p. 8) summarized the “quality of instruction” component in mastery learning as “the clarity and appropriateness of instructional cues for each pupil.” At that point in time, very little research if any, had been done to determine what “clarity and appropriateness” meant, other than intuitive notions. This situation has changed little, if at all, since then. The second innovation in mastery learning was the process of breaking the content into smaller “Units” of instruction. This accommodated two needs. The first was the interspersing of formative assessments throughout the instructional process, as already discussed. There was a second major reason, however. By carefully organizing the content into discrete Units, the course designers could build into the process the requirement that students master content in the most advantageous order. Order is important because new content that is learned is almost always based on mastery of prior content. Advocates of mastery learning recognized this in the design of curriculum. That was the main reason for another requirement – that each student was required to master each Unit before being allowed to proceed to the next Unit. Furthermore, for the same reason, course designers often included “preliminary” units that made sure students had mastered all the prerequisite knowledge before beginning the main content of the course. It was clear at this point in its development that mastery learning was a step forward, but it was not the complete answer. That’s one of the factors in why mastery learning again receded into the background in the 1980s and later. In the decades since this initial progress, much more research was conducted on this issue, although most of it has been independent of a specific focus on mastery learning. The result has been the development of much more sophisticated ways to improve the quality of instruction in a systematic way. This has led to what is now referred to as “explicit, systematic” instruction. An inherent feature of the methods given this label is that they are built on a foundation of mastery learning. However, the focus has shifted from just “assessing” achievement and requiring mastery, to the process of facilitating the attainment of mastery through systematic methods. 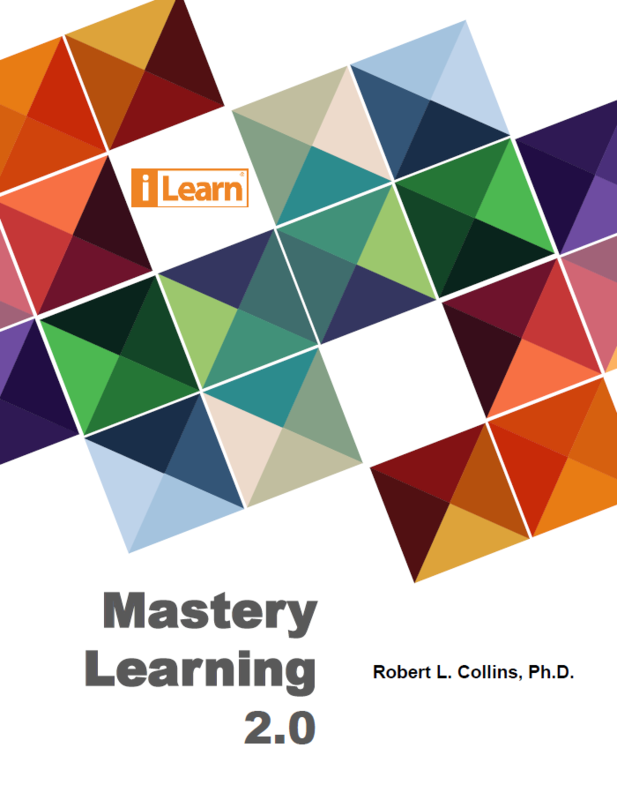 These newer developments in how to improve the quality of instruction for greater ease of learning and effectiveness is what I have labeled Mastery Learning 2.0. The methods that have been found to facilitate learning involve “explicit” instruction organized and delivered in a “systematic” way. Hence, the label “explicit, systematic” instruction. It should also be noted that one of the reasons for the resurgence of the idea of mastery learning in the past 30 years is the advent of computers. Computers have been used to implement what is often called “mastery learning.” However, I would argue that typical “instructional” computer programs only implement the most rudimentary elements of the earliest, outdated versions of mastery learning. One reason for their rather shallow claim of “mastery learning” is that it’s easy to implement formative assessment using the computer, and to tell the student what they did wrong when they make an error. That’s one of the main reasons developers of these programs focus so much on “corrective feedback.” But it is a mistake to assume that what’s expedient to do on a computer is necessarily good educational practice. Corrective feedback has been found to be far less important than was speculated in the early years of the development of mastery learning, and other factors have been found to be far more important. Recommendation 3: Instruction during the intervention should be explicit and systematic. This includes providing models of proficient problem solving, verbalization of thought processes, guided practice, corrective feedback, and frequent cumulative review. …the effects of the corrective feedback component cannot be isolated from the effects of other components in three cases. In short, there is far more involved in improving learning than just providing corrective feedback, and extensive research has identified a lot more detail about what is required. There are at least two reasons for the persistence of this outdated notion of the singular importance of “corrective feedback.” One is that it’s simple to implement with a computer. The second is simply the frequency with which providers of software products that rely on corrective feedback have promoted this notion. That’s not surprising given that most of these programs do not provide any instruction other than this so-called “corrective feedback.” The unfortunate result is that “corrective feedback” has become a frequent “buzzword” that diverts the attention from more important factors in effective instruction. So, is mastery learning still a valuable approach? Yes, definitely. However, two cautions are appropriate. First, in implementing mastery learning, it is far more productive to focus on the use of “explicit, systematic” approaches to the design of instruction rather than just whether “corrective feedback” is used. An obvious corollary of this is that high-quality instruction should be provided before students start practicing (even with “corrective feedback”). Most math software programs ignore this issue and provide only practice with feedback. Simply labeling “corrective feedback” as “instruction” does nothing to improve the situation, and should be seen as a caution. As a second corollary, it is important to design instruction so that students master the content in the optimal order. This is violated when the first focus is on supplemental instruction at grade level, when students have gaps in knowledge below grade level. Failure to address gaps below grade level, and in a systematic order, is a major reason why students fail to achieve continued success as they attempt to learn content at each succeeding grade level. When these gaps are addressed using Mastery Learning 2.0, even students who struggle in math are able to succeed at grade level. J. H. Block, Ed., (1971) Mastery Learning: Theory and Practice. New York: Holt, Rinehart and Winston. Gersten, R., Beckmann, S., Clarke, B., Foegen, A., Marsh, L. Star, J.R., and Witzel, G. (2009) Assisting Students Struggling with Mathematics: Response to Intervention (RtI) for Elementary and Middle Schools. IES Practice Guide, Institute for Education Sciences. U.S. Department of Education.